Natural sunlight greets guests as they enter our 1,800 square-foot Presidential Suite, where they are inspired by the sweeping views of the resort’s lush landscaping and Valley beyond. 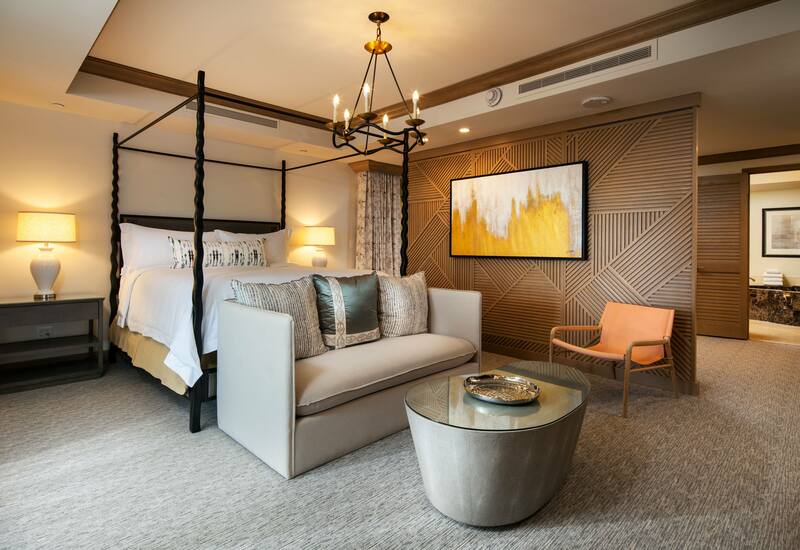 The newly remodeled contemporary décor or rich, desert tones and distinct thoughtful touches include comfortable sofas and an inviting fireplace surrounded by locally commissioned signature artwork throughout the suite. 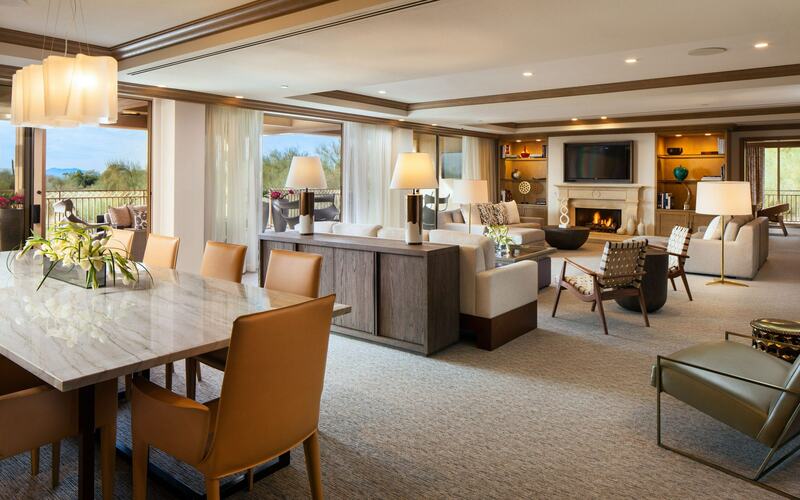 Presidential Suite guests also receive complimentary use of a private cabana at the exclusive Canyon Suites infinity pool, and complimentary round trip airport transportation from Sky Harbor International Airport. Additional purchase conditions apply for these amenities. Please call 480 423 2575 for details. Make your suite into a two-bedroom retreat with our optional connecting king guestroom. of exceptional beauty and style. The Canyon Suites is designed to provide more customized, enhanced offerings for guests, along with access to all Phoenician programs and amenities, reaching beyond expectation to deliver the exceptional. Please enjoy the following signature services at The Canyon Suites.